The biggest reason why I wanted to go to Dubai? My incessant need to do activities in a city with endless tourist opportunities and almost bottomless chests of treasure. The second reason? The fact that everyone around me was obsessing about how amazing the city was. 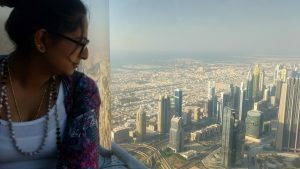 I spent a good chunk of my childhood getting excited about travelling to Dubai from Abu Dhabi or Al Ain. But I was a kid, and kids get excited for just about anything. I didn’t get the whole new Dubai craze. What had changed? Turns out, a lot can change in 16 years - at least in Dubai. And that means you need a comprehensive guide to visiting Dubai. 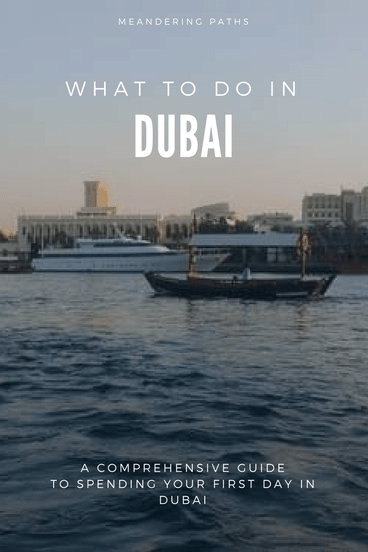 Although you can't make a one day trip and see all that Dubai has to offer, here is my guide to spending your first day in Dubai: it includes boats and shops. Feel free to skip to the actual fun parts (though I'd advise you against it). 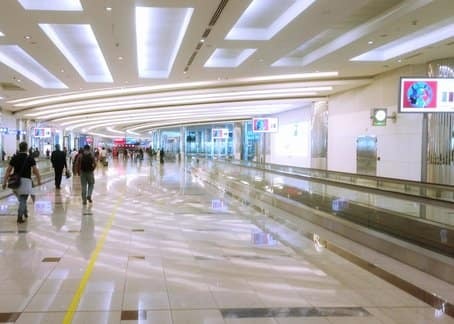 Dubai airport is bright, shiny, air-conditioned, and a great place to be when your immigration wait is long. After a fairly boring 3 hour flight from Bangalore to Dubai, we walked into a heavily air conditioned immigration building. Why do I stress on the word "heavily"? When you know it's around 30ºC, you don't plan on wearing a bunch of layers. How else do I know this? When you have an Indian passport, you wait for over an hour for immigration clearance. If you belong to a visa waiver category, you’re in for a special surprise - you join a “visa on arrival” line and speed your way through immigration. You’d think Indians would get some preferential treatment, especially after all that work we’ve put into building those skyscrapers. Immigration is well, simple. Most of the time you’ll encounter an uninterested immigration officer who either choses not to ask you any questions or look at you. Sometimes you'll be asked the standard “why are you here”, “how long will you be staying for” questions. On some occasions, you will have to tell them why your passport photo doesn't entirely match your current appearance. Hint: because I like makeup now, and I know what contact lenses are. You will be told to look into the webcam to have your photo taken for security purposes and you’ll then proceed to pick up your luggage. Marriage license or certificate, if travelling with a partner. Evidence to prove that you don't plan on staying in Dubai. Return tickets are your best bet, but it helps to have your employment contract on hand if there are doubts about your intentions of visiting Dubai. We then proceeded to get our luggage and head over to a transit terminal to catch our subway train to our hotel. The transit kiosk guy was very friendly and helped us with choosing the most economical ticket - Silver NOL card. The metro system is easy to get used to if you've already had some experience with subways. The Dubai metro is zone based; you’ll pay a certain fare based on how many zones you’ve crossed in one trip. 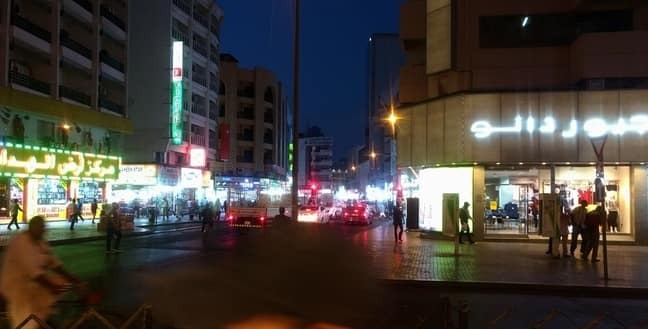 We stayed at the Hyatt Place, Baniyas Square, a two minute walk away from the Baniyas Square metro station. Now I’m not sure how most of the hotels function in Dubai, but our hotel required us to pay the entire room rate upfront. Make sure you have all the required documents to check-in. NOTE: Under no circumstance should you agree to have your passport kept as a “security requirement” unless it is on your person!!! There is no such requirement if you are a tourist in the UAE. You'll find more rules and regulations that do exist in Dubai in this blog post. The area around our hotel wasn't crazy busy, but it was quite close to the metro station, stores and a small park. Everyone has their own standards when it comes to hotels; I value having my own space and luxury when I’m travelling. The Hyatt Place was the ideal hotel: it was cozy enough, had a bathroom with amenities and wasn't noisy. The best part - the included breakfast buffet which is easily any breakfast junkie’s dream. 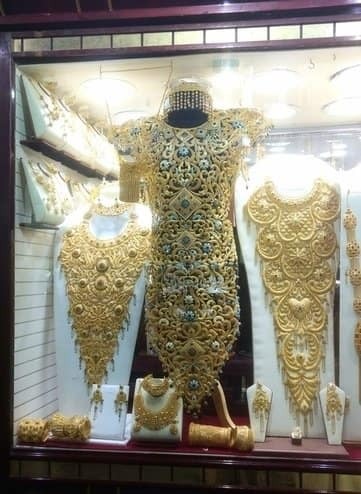 Now these are the kinds of things you don't see everywhere, so the gold souk visit is a must. 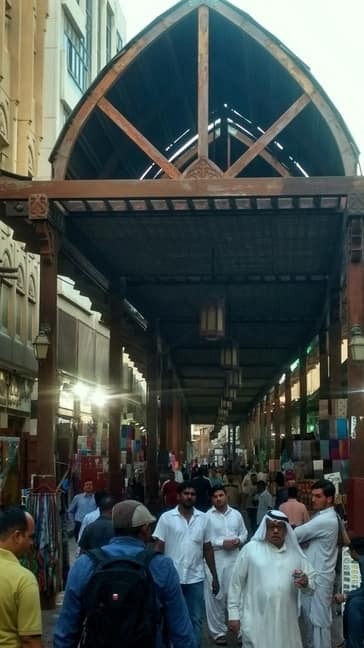 Our first adventure stop was a walk to the gold and spice souq (Deira Old Souq). It wasn’t more than a 20 minute walk from Baniyas Square, but the heat was starting to wear us out. Luckily it was almost sunset as we hit the markets, and the evening started cooling down. The gold souq is a definite recommend - you wouldn't believe the amount of bling that could fit a street! We never went in and got ourselves any gold, because we didn't need any. The common word on the street is that most of the jewellery stores in the UAE sell legitimate 24kt gold. You’re almost sure to never be duped in that department, so shop away for all the gold you can buy! While most of the designs here are more suited for royalty, there's something for everyone! You can also find a slew of designer handbag dupes sold by salesmen. That, is something I’d avoid buying if I were you. 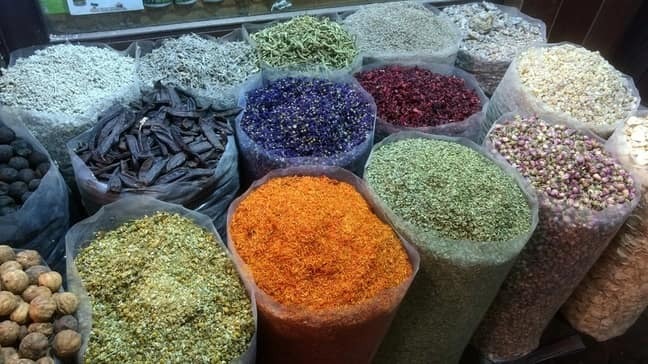 The spice souk isn't amazing, but the colours and smells of these spices make for a great sensory adventure. The spice souk is not more than a couple streets away, although it isn't any more spectacular than the gold souq. It is a narrow alley filled with stores selling spices. Unfortunately we didn’t buy any spices either, but we made up for it with some decent photos. The abra ride is the most serene and humbling experience you'll have in Dubai. 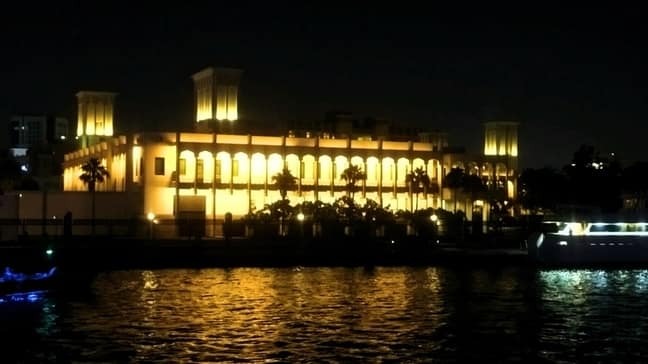 You can reach the docks a couple streets away, where you can catch an abra - a 10 seater traditional boat - for a dirham. That was probably the best deal we ever got in Dubai! That, and some tasty camel milk ice cream to cool ourselves down as we waited for the next abra to Bur Dubai. The Bur Dubai souks are filled with souvenir and textiles stores. It's a moderately fun adventure, but it's worth a skip if you've been to souks in other countries. This was the only fun thing to admire in this area - and it wasn't even that original. 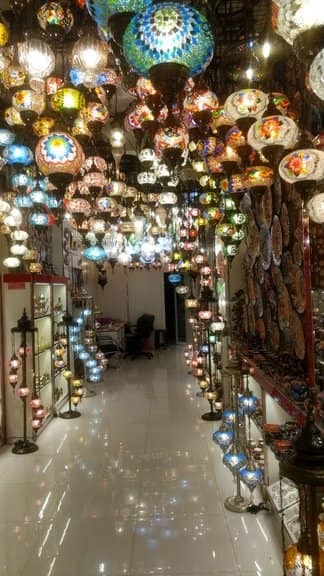 We didn’t have to walk far to get to the next market place in Bur Dubai - a tourist trap filled with souvenirs. My husband decided to buy a t-shirt with Dubai’s famous Burj al Arab on it from a store owned by a Malayali guy. We thought it'd be a great bargain, seeing as I am a Malayali, but he didn't give us a discount on the merchandise. Shame, but can you blame him? He must be used to seeing a lot of Malayalis in the UAE. Unfortunately we didn’t get to spend more than half an hour in Bur Dubai on day 1, because we had our Dhow cruise to get ready for. The Dhow is one of the many popular cruise boats that takes you along the harbour. You can choose to take a cruise along the Dubai creek or the Dubai Marina; both are beautiful in their own way. Your experience depends almost entirely on the company you choose for your cruise and the package you pick. The views as we cruised along the creek were beautiful. Bear in mind, your cruise will not be the only one operating at the same time; dhow cruises embark and dock at the same time, and the boats move out in a specific order. This is something to keep in mind if you're expecting a hearty meal at 8pm on the dot. While there isn't a delay in embarking and docking, you cannot expect a good meal till 9pm. While you cannot admire your own dhow's designs and lighting, it's always fun to take in the various designs and colours of the other dhows. As we waited in hunger and silence for our food, we had the opportunity to admire the lit boats surrounding us. One of the biggest reasons why you'd want to try out the Dhow cruise is the great photo ops, including the Tanoura dance and the lights. The food was mediocre on our cruise, with a mix of Indian inspired food and a few Mediterranean dishes. The options for vegetarians were certainly limited though not entirely lacking. Overall, I’d count my money going towards a peaceful and pleasant 1.5 hour ride through the lit creekside and a free ride to and from the venue. It beats a regular night in at home if that's what you're worried about! Last Thoughts: Would I do day 1 differently the next time around? The simple answer is: no. Given the proximity to our hotel, and the amount of time it takes to travel between zones (more in my next post), I think Day 1 was a success. More to come in my next post for Day 2, with lots of walking, seeing and doing! Let Every Day Be A Great Day! Check out some of these posts too!